Back in late 2015 ambergris editions held a series of print workshops led by Lisa Wilkens in the Window Room kitchen of Wysing Arts Centre. Together with 8 other artists and 1 curator we learnt how to print using the lo-fi technique of Kitchen Lithography - a process using nothing more than kitchen foil, cola, ink, paper and an all important wooden spoon. 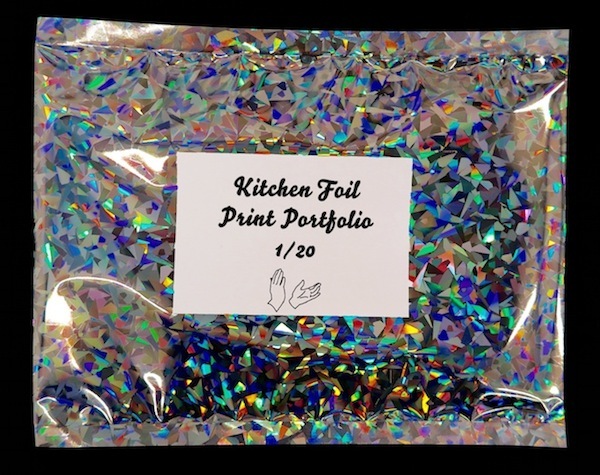 The results are now available from ambergris editions in the Kitchen Foil Print Portfolio featuring works by Alexandra Drysdale, Alison Gibb, Bettina Furnee, Caroline Wendling, Josepa Munoz, Lawrence Epps, Lisa Wilkens, Lotte Juul Petersen, Naomi Harwin and Steve Ruiz.